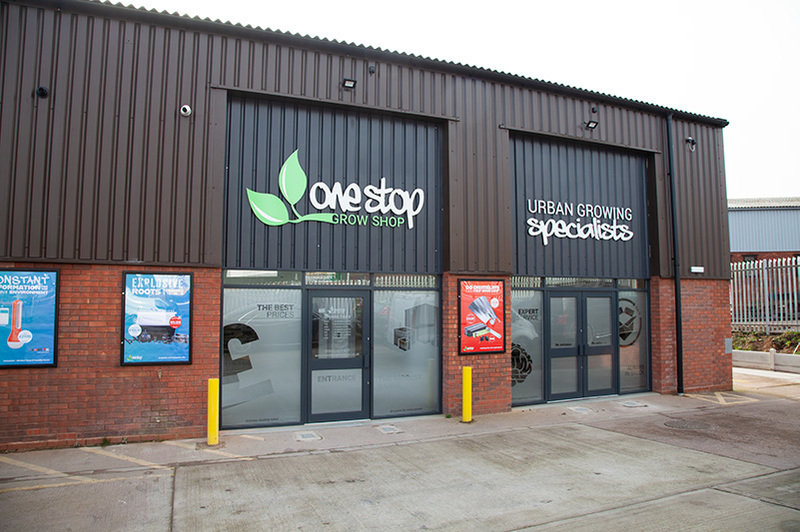 One Stop Grow Shop Cannock is located 5 minutes away from the M6, making it incredibly easy to get to from Wolverhampton, Birmingham, Stafford, Walsall and other surrounding areas. Click the link in the above map or on your satnav search the postcode: WS11 7XN - Please note: this postcode may take you to another unit on the industrial estate, please keep following it round until you see the One Stop sign. We're just off the A460 (eastern way). Coming from the Orbital Retail Park head towards Cannock, go straight on at the first 3 roundabouts, then at the roundabout past the current building works, take the first exit onto Hawks Green Lane, then Take the 2nd exit opposite the green 'Murphy' sign - We're 50m up to road on your left!